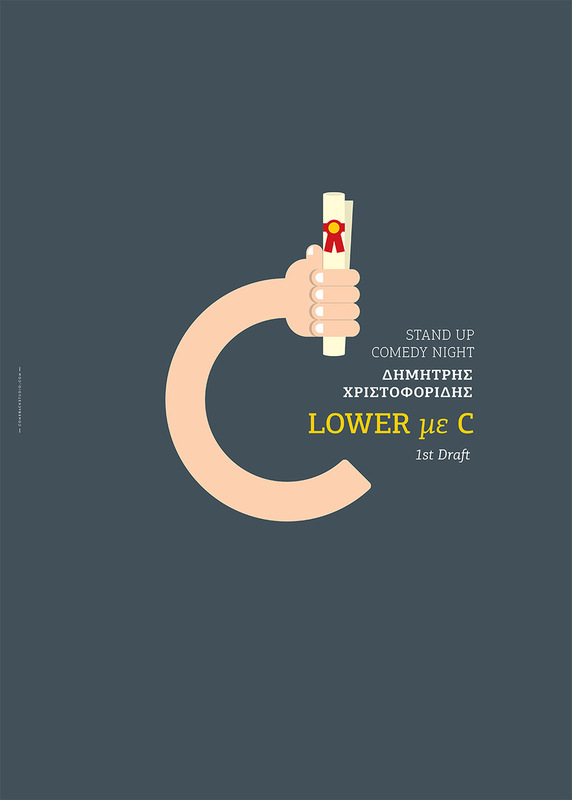 Poster for Dimitris Christoforidis (stand up comedian) for his live act “Lower with C” at Gazarte. 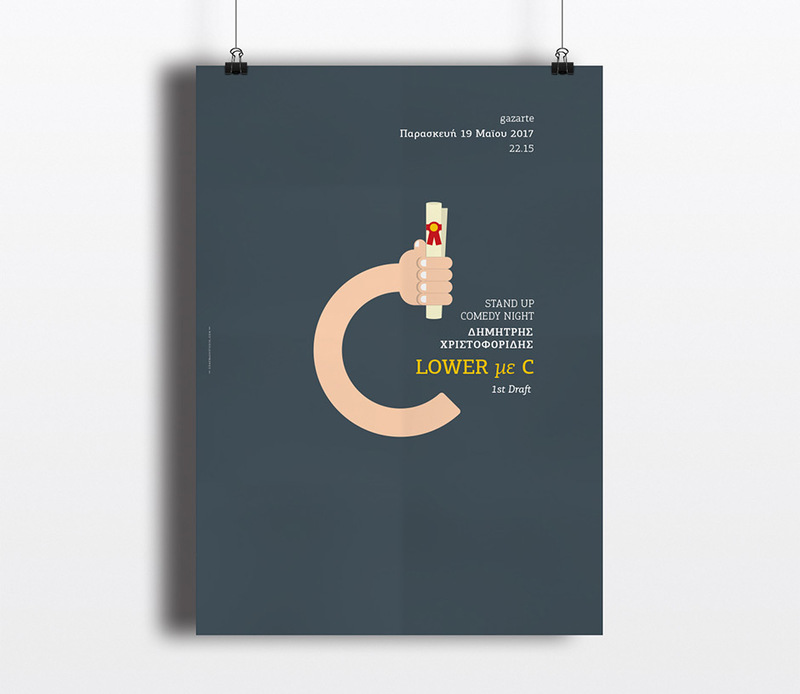 Illustration by our lovely junior designer Georgia Loumpardi. 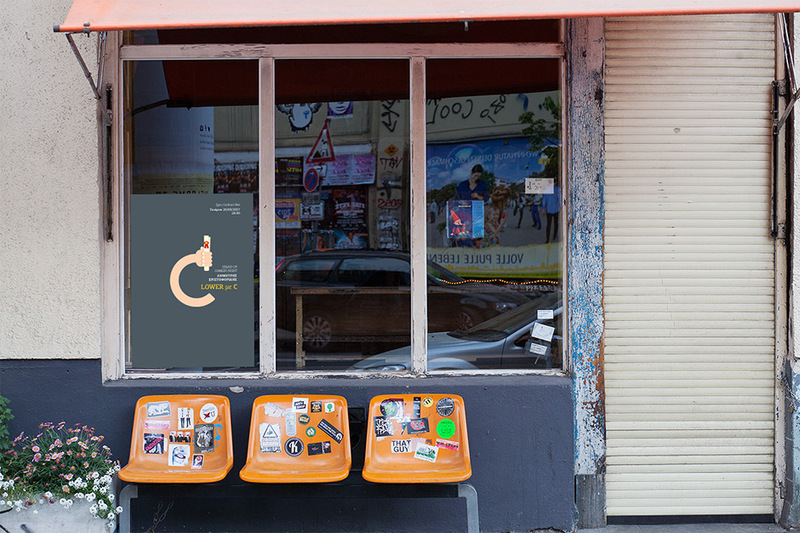 The poster was used as a template for Dimitris’ new act for all of his shows during the summer of 2017.